What is it Holistic Methylation/ Genetic Methylation Testing? 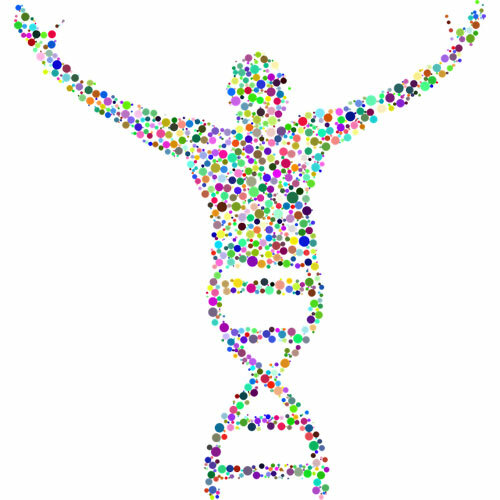 We will be evaluating your individual methylation patterns through genetic (DNA) testing and applied kinesiology (muscle testing) to determine where these genetic glitches are and recommend supplementation to achieve a “genetic bypass” of your particular DNA mutations. What is methylation? Why should you care? Without getting too technical, methylation is the addition of a single carbon and three hydrogen atoms (called a methyl group) to another molecule. Methylation is a vital metabolic process that happens in every cell and every organ of our body. Life would not exist without it. These normal reactions occur billions of times every second! Methylation is responsible for all of the above-mentioned biochemical processes. These biochemical steps are regulated by proteins called enzymes which are made by our genes. The Human Genome Project has mapped the majority of our genes and determined many of their functions. We can be born with or inherit a faulty gene or mutation. Sometimes we acquire mutations from cell division or exposure to the environment like UV radiation, stress or an infection. A mutation may cause an enzyme to work improperly or at a decreased capacity causing problems with our metabolism, healing, and health. We can evaluate these genetic variants/ defects in the methylation pathway and balance the defects/enzyme with specific nutrients to reverse symptoms and restore normal function to the body. How do you assess methylation and genetic defects? What makes our testing different? We test the most important 30 genetic defects involved in the whole methylation pathway. We address all 30 defects and not just one defect because they have an effect on each other. It is like a symphony. You want all the instruments/ cells to be working together to create nice and smooth music. Or it’s like a car, you want the battery, spark plus, alternator etc to be working together so the car runs smoothly. You want all the cells to be working together to improve function, health and prevent diseases. What also makes our testing different is we not only look at genetic defects (from labs) but we also use kinesiology testing (muscle testing) to determine the underlying genetic defects and imbalances which can be done in office. You can have a genetic defect revealed in your labs but it may not be expressed. You can have an expressed genetic defect but it doesn’t show up on your labs because it was turn on by an environmental factor (like toxins, stress, meds) months or years after the labs were performed. That’s the beauty of kinesiology testing, individualized testing for that person at that time. Testing is easy and painless. We are testing and creating a customized supplement program to fit each patient’s need. The gene that put methylation on the map is the MTHFR gene. If there is a MTHFR genetic defect/ SNP, the body may need a B vitamin called folate because the body can’t convert folic acid to active folate. Simply put: your body struggles to repair DNA over time. This leads to a deficiency that increases the risk of heart disease, Alzheimer’s, cancer, thyroid problem, fatigue, autism, insomnia, leaky gut and so on. This is just one of the 30 genetic defects we look at in this whole methylation pathway. We can then use kinesiology to determine your exact nutrient needs and amounts of supplements needed to compensate for your genetic variants/defects. You have had a lifetime of not being able to absorb certain nutrients, so repair and detoxification will take a bit of time. However, progress can be seen quickly in certain symptoms such as depression, focus, memory and fatigue. This initial visit can take from 1.5-2 hours to take a history, go over your results and design a health program for you. Because of your very unique genetics and environmental exposure levels, your supplement program must be customized to fit your needs. We are trying to repair cellular damage, balance nutrient deficiencies, allow your body to detox, allow your immune system to function normally and repair neurological damage. The good news is that through this program, it is possible to address all of these areas and rebalance these systems. However, this process takes time and patience. Success can be achieved by slowly correcting each imbalance and beginning to rebuild the body. Follow-up visits: On your follow-up visits, we will re-evaluate your program and make sure we are not missing any ingredients to get your body functioning normally again. These visits can run from 45-60 minutes depending on your situation and how you are tolerating your treatment protocol.